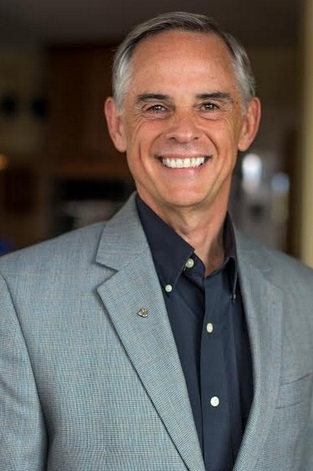 JOHN G. MILLER is the founder of QBQ, Inc., an organizational development company dedicated to making personal accountability a core value for organizations and individuals. QBQ, Inc. has worked with hundreds of Fortune 500 and other companies and governmental and non-government organizations internationally. Miller, who appears frequently on national television and radio, is the author of the new companion title THE QBQ! WORKBOOK, the bestselling QBQ! The Question Behind the Question and Flipping the Switch: Five Keys to Success at Work and in Life. Sell. Persuade. Explain. Teach. Sway. I am verbal and those abilities have been put to use first in sales, then training, and now as a professional speaker. I have the ability to cut through the complicated to reach the simple. And “simple” is where answers lie. Strongly principled, I am able to see black from white and right from wrong. When others are lost in chaos and confusion, I can steer them through it and out of it. Solving problems is my forte and providing clarity to others in their problem-solving is my gift. I believe in legacy and leaving a “trail of impact” that is positive--with my kids, grandkids, and the readers of my books. I aspire to have them say I was a “good guy” and added value to their life. Karen and I have raised 7 fine kids, the oldest four all married and raising beautiful children. This is my greatest accomplishment, along with being married since 1980 in a world that views marriages like disposable printers: Not working? Throw it in the dumpster and get a new one! Also, we adopted 3 full-blood sisters in 2000, all under the age of 6. They are flourishing today. As well, selling over one million books when people told me I couldn’t—that is a touchpoint of healthy pride for me. In 1984 I was working at a huge corporation named Cargill and had been placed in a job running a small branch office with little to do and less purpose. I could’ve stayed, taken my salary, and waited for the next transfer. But in my desire to serve, add value, and make a difference – at age 26 – I spoke out, informing senior management my opinion was the branch was not needed. They accept my recommendation and we closed the branch down, sold the furniture, and locked the doors forever. I was then transferred 18 months ahead of schedule. So glad I spoke up and did not wallow in victim thinking! I can only change me. Period! Three mentors: My father, Cornell U. wrestling coach for 25 years and Christian pastor for 40 who taught me many sound principles for successful living. Also, the two men who brought me into the training business when I was only 27. It’s true—“when the student is ready the teacher appears”—and they taught me how to sell, train, and become a successful business person. They took a risk hiring this high energy verbal guy and I am so glad they did! Home. Not kidding. I’ve traveled the country for twenty years speaking and been overseas many times. I am happiest when I am home thinking, creating, writing, blogging, and investing time with my wife, 7 kids, and 7 grandkids. I am not what I call an “Apple Zealot” as some are, but I do love my MacBook Air 11” laptop, my iPhone 6 Plus, and my iPad mini. Practical and sleek, these are tools I cannot imagine not having at my side! And the Internet. Young people today have NO idea what a blessing it is to have so much knowledge and such an amazing ability to communicate at their finger-tips 24x7. Aside from family—I adore my grandkids and enjoy watching our kids raise their own now—at 58-years-old I still get a rush, a win, from selling. When an executive choose to invest in our training products or my daughter, Kristin Lindeen or me as a speaker for their event, the experience is incredibly gratifying, rewarding, and fun!